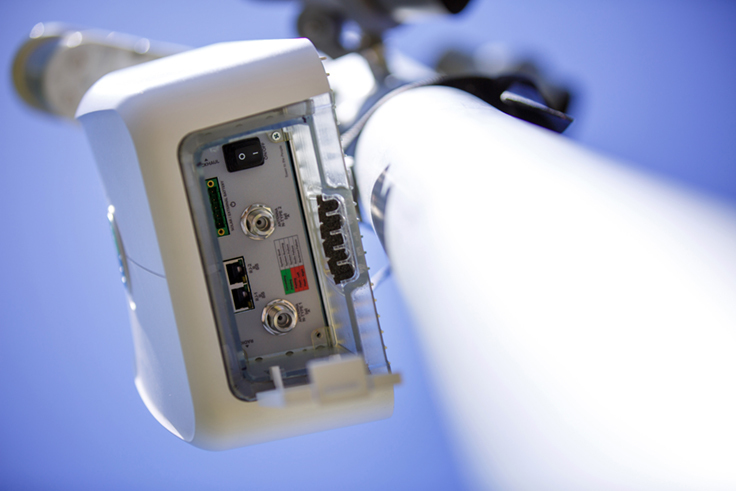 OpenCellular is Facebook's open-source wireless access platform designed to provide internet to remote areas around the world. OpenCellular is roughly the size of a shoe box and it can support up to 1,500 people as far as 10 kilometers away with a range of connectivity options, including wireless services and everything from 2G to LTE. By the end of 2015, more than 4 billion people across the globe didn't have access to basic internet services and 700 million people lived outside the range of cellular connectivity -- making it difficult to log into Facebook, of course. 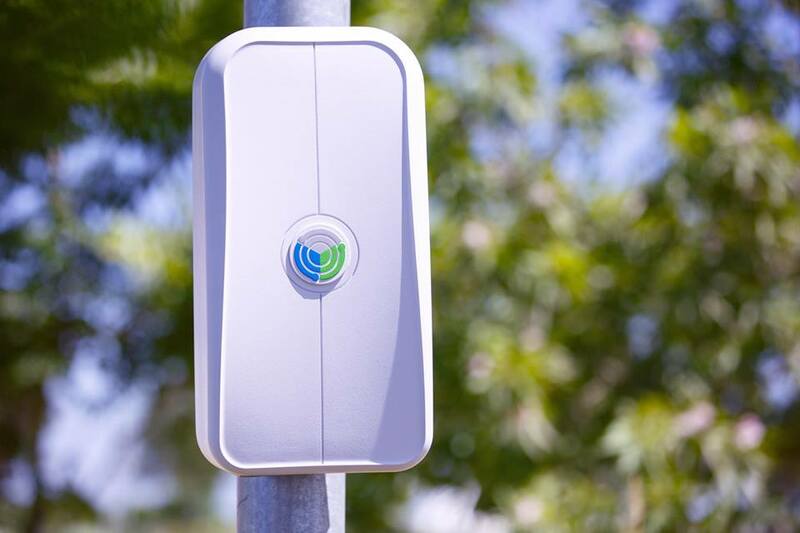 The initial version of OpenCellular's software platform will be available in the summer, and Facebook is testing out the boxes at its headquarters right now. OpenCellular will eventually be open source, allowing researchers, telecom operators, tinkerers and anyone else to build on its design. Facebook will work with other Telecom Infra Project members to build and support an active community around OpenCellular. "With OpenCellular, we want to develop affordable new technology that can expand capacity and make it more cost-effective for operators to deploy networks in places where coverage is scarce," Facebook engineer Kashif Ali writes. "By open-sourcing the hardware and software designs for this technology, we expect costs to decrease for operators and to make it accessible to new participants." OpenCellular joins Facebook's other global connectivity initiatives, including its internet lasers and Aquila, the company's unmanned, solar-powered, internet-distributing plane. This month, the United Nations reaffirmed internet access as a human right in a resolution that stated, in part, "The same rights that people have offline must also be protected online, in particular freedom of expression." The non-binding resolution condemned governments that disrupted their citizens' internet connections, and it noted disparities in access among certain nations and between women and men across the globe. We've heard arguments for and against removable storage on smartphones, but we can all agree on the fact that the more the merrier. And we're not just talking about memory space here, as the speed becomes more crucial when it comes to capturing higher video resolutions on our smartphones and drones. 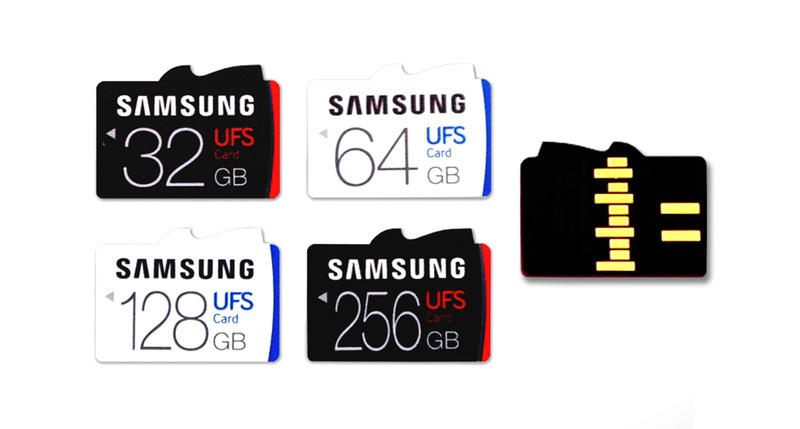 To satisfy our need for speed, Samsung is the first to announce a series of UFS (Universal Flash Storage) removable memory cards, with its 256GB flavor boasting an SSD-like sequential read speed of 530MB/s -- that's about half a gigabyte per second and almost five times faster than the top microSD cards these days. 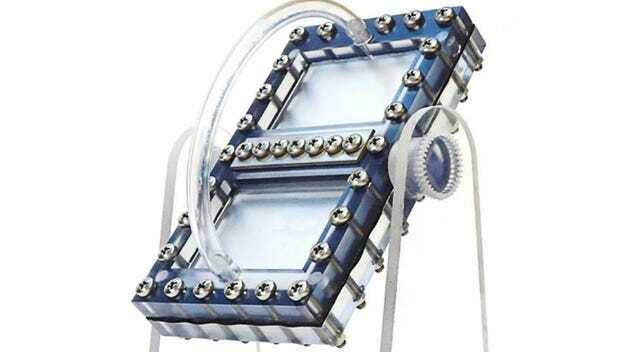 It can also do 170MB/s sequential writing, which is almost two to three times faster. More importantly, Samsung claims that its upcoming 256GB card is rated with a random read rate of 40,000 IOPS, which is 20 times higher than that of a typical microSD card; and likewise, it has a random write rate of 35,000 IOPS, which is a whopping 350 times higher. But of course, we'll believe it when we see it, which may be a while since we've yet to come across devices that support this new standard. It's also worth noting that even though UFS cards closely resemble their microSD counterpart, you can see that the new pin layout means the two aren't cross-compatible. We'll just have to keep an eye out for future announcements -- here's hoping that the upcoming Galaxy Note 7 will be one of the first devices to support these awesome memory cards. Based on recent conversations with Fujifilm camera users, I know many of them couldn't wait for the X-T1 successor to be announced. And well, that day is finally here. 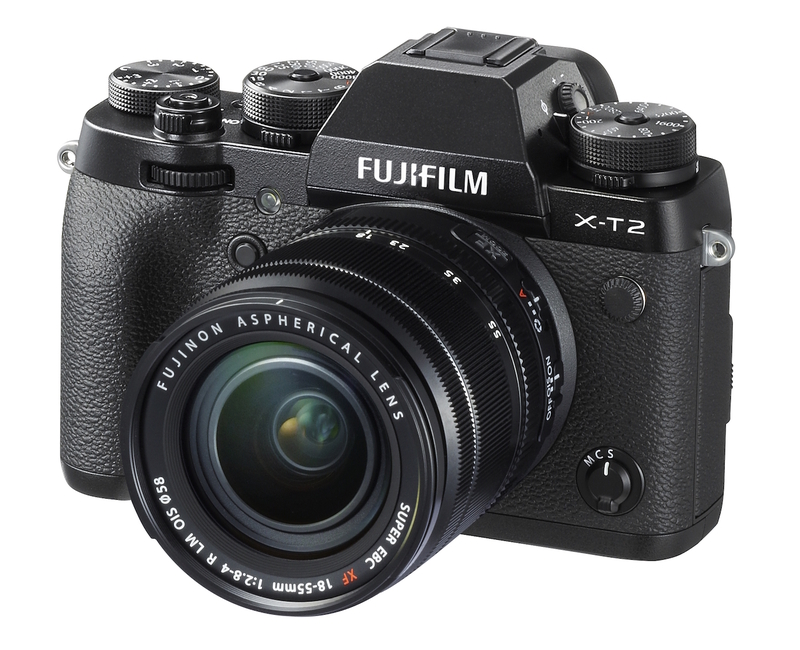 Today, Fujifilm introduced its new X-T2 mirrorless shooter, a major upgrade over the X-T1 from 2014. The X-T2 features a 24.3-megapixel (APS-C) X-Trans CMOS III sensor without a low-pass filter, which should help capture sharp, DSLR-like images. Additionally, there's an X-Processor Pro chip that, according to Fujifilm, uses improved algorithms to produce a more accurate autofocus system (325 single points, 91 zone). What's more, in a first for the X Series line of digital cameras, Fujifilm's X-T2 can shoot 4K video at 24, 25 and 30 fps. That's something fans of the brand had been asking for, but we'll see whether the UHD quality (3,840 x 2,160) meets people's expectations. For now, we do know recording in 4K is limited to up to 10 minutes at a time, though this could change later with a firmware update. That said, you also have the option to shoot for longer periods in 1080p (15 minutes) or 720p (30 minutes) at 24, 25, 30, 50 and 60 fps. Like its predecessor, the X-T2 comes with a weather-resistant design, as well as an OLED electronic viewfinder, a 3-inch tilting LCD screen and WiFi for remote control and sharing pictures to mobile devices. The X-T2's continuous shooting mode is a decent 8 fps, while the ISO range clocks in at 100-21,600 (52,000 with the High setting). And don't forget you have Fujifilm's trademark physical dials at your disposal. All told, the X-T2 is a solid alternative to the X-Pro 2 -- at least on paper. The X-T2 won't be cheap when it arrives in September. You'll need to pay $1,600 just for the body, or $1,900 for a kit that includes an XF 18-55mm lens. Stay tuned, as we'll have hands-on pictures and impressions of the camera in a few hours. If you're going to craft a quantum computer, you need to corral lots of quantum bits (qubits) to perform calculations... and Penn State researchers have found a way to make that happen. They've developed a technique that relies on lasers and microwaves to steer a tightly packed, 3D grid of atoms that serve as qubits. When you want to change the state of these atoms, you hit them with crossed laser beams and then bathe them in uniform microwaves. 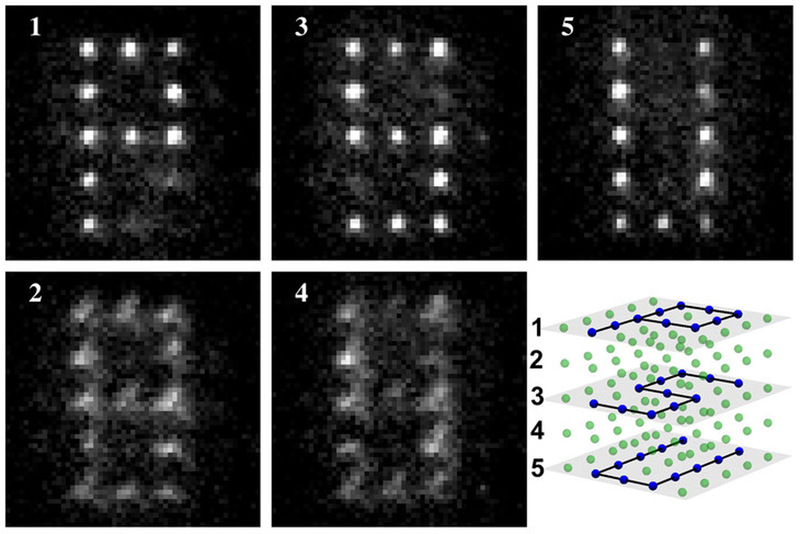 In a test, scientists had enough control to spell out "PSU" across a three-layer array of 125 atoms. The tech has a long way to go. You'd need many more qubits to make a fully functional computer, to start with. Penn State's team also wants to improve the reliability (it's at 99.7 percent now) and create quantum entanglements that have particles react to each other. 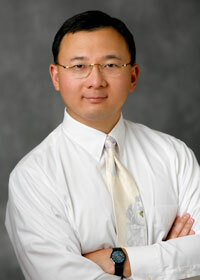 If all those pieces fall into place, though, you could see truly complex quantum computers (not just ones with a few atoms) that pull off calculations which are impractical or impossible for today's machines.